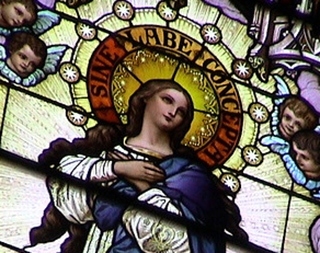 Here’s Day 9 of the Immaculate Conception Novena! I want to start by thanking god for all the blessings he has given to me and want to pray for all others that are going through hardships of there own..in agreement I hope all will pray for me and me husband that we will receive his ssdi and all these evil people that are helping them ruin are lives. I pray that you intercede on my behalf to you Son that tomorrow’s chemo treatment will be the last that I will ever need and that I remain in remission from now on. prayer request for the settlement of a civil suit outside of court has been answered. Everything is possible with God if you open your heart to Him. Thank you Mary. My Mother Mary help me with all my problems I have please open all. Help me praying days & night for what I needed my lord. Most Immaculate blessed mother, as i pray this Novena, i ask your intercession and prayer that God grant me my request to do great in my second interview and hopefully land the job i have applied for. Thank you and i will make my commitment to continuously pray to God thru devotions, novenas and in the eucharist. Lord, Today I am praying for your continued blessing and thanking you for the answered prayers through this Novena. I am still hoping for a miracle on our current and Immediate financial issue but I am SO GRATEFUL for the new opportunities you have opened doors to during the NOVENA! Thank you! Please pray for me, make me holier and closer to You O Lord! Pray that I seek Your will, to be more of a Saint. I like one of the sayings during the Advent Retreat, make me have the dust from Your sandals, that’s how close I want to follow You! This Novena prayers were answered. Thank you Lord for everything you have done recently in my life.